Business Network Wales has launched a new online business networking and business support platform for the Welsh Business Community. The new Business Network Wales Business Networking and Business Support platform has being launched to the welsh business community in February 2016 and this platform will change the way that businesses in the Welsh business community, and beyond Wales, will do business with each other. The new innovative Business Network Wales platform will offer it’s members the ability to network with each other in an open networking forum as well as to market, advertise and do business with each other. Members will also be able to learn from one another as well as use the various business support and business growth documents and integrated business support services in order to help improve their own businesses. 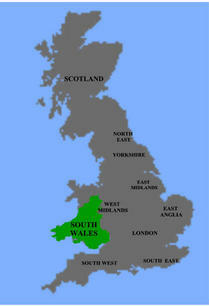 How to Join Business Network Wales? To join the Business Network Wales business community system there are three different levels of subscription membership with the first level being FREE (with some restricted access) for business startups and those thinking about getting in to business. The second level is an Enterprise level for just £150 per year and the third level is a Business level (with unrestricted access) for just £250 per year (to see what you get in each level please follow the link to the Business Network Wales plan comparison page). The Business Network Wales platform has been specifically designed with business networking and online business networking in mind so it does not come with the usual contact restrictions and limitations of rival social media and contact/connection building platform systems such as Facebook, LinkedIn and Twitter. 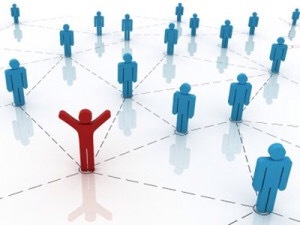 Some of these other platforms restrict the building up of contacts and connections beyond the people that you already know or have met in the “Real World” however the Business Network Wales platform actively encourages you to connect and more importantly do business with new people that you meet within the new business social networking system. The only restriction on our business networking system is that you can only contact and connect with businesses at the same level of access to the system and below. The Business Network Wales platform has again specifically been built and design with business support in mind so it has many elements inbuilt which can help with supporting your business. The main areas of business support are the many business support documents contained within the cutting edge document vault (including business startup support documents, business growth support documents and business improvement documents) as well as the many negotiated business support services and the many business advertising opportunities. The business support document vaults contains over 5,000 Crown produced “Business Support Documents”. These documents are Free to download and save on the standard PDF document system. Access to the documents is restricted to the level of access you have to the system. 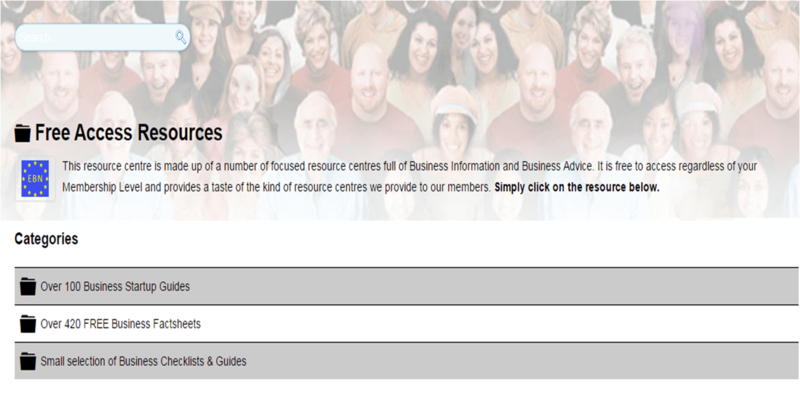 If you have the top “Business Level” that you can access all 5,000 business support documents, with the “Enterprise level access members being restricted to just over 2,000 of the documents, whilst entry level “FREE” members have access to 500 of the business support documents. The majority of the documents at all levels are aimed at business growth and business support whilst a large proportion of the 500 documents aimed at the entry level “FREE” membership level are business startup documents ideal for business startups, new businesses and people thinking about starting a business. The owners of the Business Network Wales system, Private Social Platforms, have negotiated a number of business support services aimed at helping all levels of businesses to improve their business. These business support services offer excellent opportunities to help and support all types of businesses in many different areas from Business Marketing and Business Cost Reduction Services to Raising Business Funds and Business Financing. Members of the Business Network Wales community platform can benefit from the support services already negotiated and available as well as the opportunity to put forward your business as a potential partner to the system if you feel that you may have a business support service suitable to be considered. The purpose built system has a number of built in business advertising opportunities including the ability to “offer business services” and “reply to people requesting business services” via the “Business Exchange” section as well as “Banner Advertising” via every page on the system. In addition to the business support document vaults and the business support services and business advertising services the Business Network Wales platform also allows business to raise funds via a “Crowd Funding” feature, sell tickets and market events via the “Event” feature and set up and join (open or closed) groups to allow better interaction and communication via the “Group” feature. If you are part of the Welsh business community or you are someone looking for online business support or online business networking then this new Business Network Wales “Welsh business community platform” is for you. So what are you waiting for. Sign up today and start benefiting from the many features and benefits available to you from within the system and whilst your at it, invite all your friends, colleagues, partners, customers and suppliers to join you on the system for the benefit of being able to connect with them online as well as to help reduce your own subscription fee, via the inbuilt discount referral scheme. “Business Network Wales” is one of the many Private Social Media Platforms run by “Private Social Platforms” and “FioFro” software. In addition to Launching the Business Network Wales Platform for 2016 they have also partnered with Wales’ Leading Professional Business Network, Introbiz, to offer the Introbiz.Wales online business community platform. 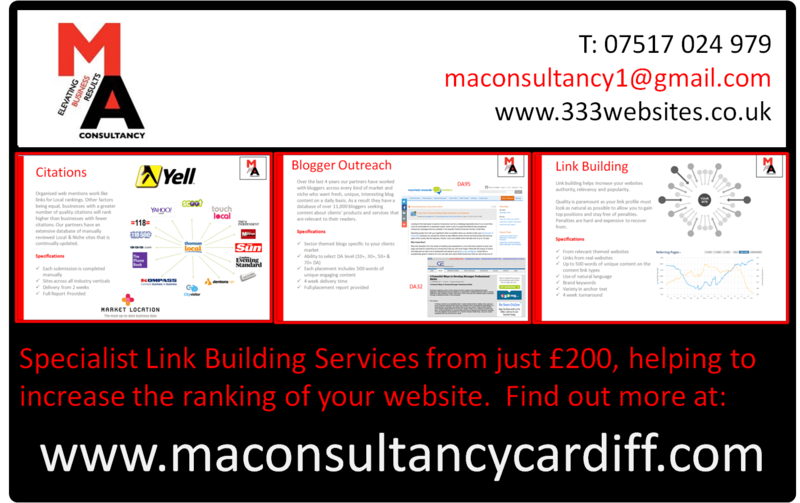 This page has been written and posted “By Mike Armstrong” from MA Consultancy | WelshBiz | 333 Websites. This time of year brings with it a lot of introspection; emotions are heightened and people become much more sensitized to their environment and the people that surround them. Everyday my newsfeed contains at least two posts about inspiration and motivation. In many ways it’s helping me validate the road that I’ve chosen to take. As someone who decided to make the leap into entrepreneurship a few years ago, the journey has been wrought with mixed experiences and emotions. Lately, I’ve taken the time to pause and reflect on..
and why the heck I am going to make it. Many of my close friends know this about me. I work…. a lot. I’m a workaholic. There, I’ve admitted it. In the past, I have denied it, and have tried to justify why I pour my mind, time and energy into my work. My husband can pinpoint the exact day that I changed; it was the day I started talking more about possibilities and how things could work if conceived of differently. I knew the advent of social media would fundamentally change how we observe, measure and predict human behaviour. It was the day I became enamored with figuring things out vs. remaining complacent and unsatisfied with the way they were. I was agitated and clearly frustrated as I internalized this struggle. I was hell bent on trying to fix what was clearly broken. From that day forward I was different. It impacted my personal life – both as a wife and mother. Balancing the deliverables of my career with the needs of my family has always been a challenge. I continue to struggle with this daily; I am thankful I have a partner who gently reminds me and keeps me honest. I started theorizing and playing with possibilities. My thoughts were all-consuming and sometimes they overwhelmed me to a point where it seemed I’d lost my bearings. It’s an amazing feeling when what you conceive seems nearly within reach. The only thing you think about is making it happen. Amy Tobin, my partner at ArCompany, has ventured down this path with me many a late night. We dreamt up new ways of doing things… carving out a path for ourselves that made us different and better than what was currently out there. Dreaming is exciting; implementing is twice the work… and twice the charm. The whirlwind of the last two years has not been without its challenges. Trying to realize your dream means you have to voluntarily go to some pretty dark places. Getting up in the morning can be tough. There was a time when I had a purpose. A full-time job dictated that for me. I had a place to go. I had a paycheck to earn. That was my external motivator. While the excitement of a new business makes me jump out of bed most mornings, human emotion fluctuates in rhythm with the ebbs and flows of the business momentum. There are days I just want to crawl under a rock and hide from the disappointment. That’s when I muster up the energy to make it through the day and try to find a glimmer of hope. I have friends who have gone through similar experiences; their counsel gives me comfort. Making mistakes is a good thing. Agility is imperative. This is the only way I’ve learned to be better. When we first conceived of ArCompany we knew that social would inevitably weave its way into the operations of business. As people who’ve lived and thrived in this environment both personally and professionally, we knew that positioning our brand to assist in the transformation would be easy. We were wrong. The market wasn’t ready for us or this social business concept. All of the work we had done to build our value proposition was not taking root. We had to go back to the drawing board and appeal to current market demand. We spent another few months conceptualizing the revised positioning. We decided to focus on the immediate impact of business intelligence and its direct influence on how a company could make better decisions. This seemed to resonate. Sell your value no matter what. As a new company coming into a market doing something no one else did, our prospective clients expected us to prove our worth. Unless our solutions have been proven, prospects would be reticent to buy…. they wanted a less risky option. If it meant a sale… if it meant building a business case then ‘why not’? We realized that by acquiescing to a lower price we were, in essence, devaluing our service. Once it became clear that what we provided was indeed a valued service, we started fighting to keep the price associated with that value. In many respects, that meant we would need to be willing to walk away from potential clients who didn’t ‘get’ or value what we do. The customer is not always right. I wrote about this earlier this year. It became clear that it was our job to force our customer to allow us to do our jobs properly so that they could be successful. When things go wrong, someone needs to be blamed. The client will never take responsibility because they don’t have to. When a deliverable is late to market or when things go awry, this knee-jerk reaction to find the culprit always points the client in one direction: the onus is always on the agency to explain what has happened. One thing I’ve learned, especially in this nascent space, is that our clients have come to us because we do something no one else does. It is extremely frustrating when our strategy is questioned before we get out of the gate. It is even more frustrating when the client changes things midstream. But once I began having transparent discussions about the client’s anxieties: investor expectations, and management pressures, I began to have full context into their world. And this changed things. The relationship became symbiotic as we worked together to manage those business anxieties and make the client look like a rock star in the process. You don’t know everything. I had no trouble admitting to this. Becoming a freelancer was a piece of cake, but starting a company was an entirely different beast. It meant looking at the business longer-term and planning for it. Where was the market going? What resources would we require? What specific talents would we need to hire for? How would we scale the business? I’ve been fortunate to lean on a few advisors and a business coach. At least a few times a week, I turn to these trusted sources to provide some sage advice and be brutally honest in the process. Not knowing everything also means hiring people who are smarter than you. I relish in my conversations with Susan Silver, who continues to impress me with her knowledge of human behaviour and data. Joe Cardillo is also wise beyond his years. As we grow this company, his steadfast hand to make this company more streamlined, efficient and grown-up has not only changed the way we operate, it’s also made us much more productive. This is a good problem to have, however when the sh** hits the fan and there is no plan in place to resource properly, this will fail… and fail fast. At ArCompany, we’ve always been focused on the one thing that we do best. We’ve also realized there are aspects of our business that are extremely time-consuming and would not allow us to put the necessary resources into our prime offering. We’ve had to forsake revenue to ensure we deliver to client expectations, and it has been an internal struggle at times. At the end of the day, growth means creating a system that delivers a properly executed end to end solution. Relying on partners who have succeeded in their respective arenas is important. It lends more credibility to the business and creates an engine that will able to accommodate more volume as required. We discussed how blessed we are to have a team that has inherent chemistry, but we also created it this way with intent. What’s more, we safeguard this chemistry when we bring on new hires. It is important to us that our team is positive, forward looking and able to be honest with each other. It’s essential that we have a ‘safe place’ to brainstorm and work through ideas. I believe this is the most overlooked element of any team, but we all know: if you love your job, you’ll work harder and longer at it. Loving your team is an essential part of that. I couldn’t do this all myself. Having the vision is one thing, but executing on that vision means having partners who have bought into the same dream. I am blessed that both partners, Amy and Bob, have shared in that vision and have poured their hearts and souls into making this company great. Many times, it’s these connections that solidify the team when the going gets tough. Today we are less fearful of what’s around the corner. Today, we are more confident about the value we bring to customers. We look at new challenges and smile because doing something new and different is what drives us. I don’t fear the statement, “it’s never been done before” because, in reality, that should be a motivator not a stumbling block. Perhaps this is an early New Years Resolution. In reality, these are promises I should make regardless of season. First and foremost, family comes first. I do work hard but a wise man told me that if I can’t give my kids the same time I give my work, then I have to make sure every second I give to my family counts–quality over quantity. I will be mindful. One day, Daniel Newman posted about the strength of mindfulness. He said it was something that he ascribed to each and every day. It reminded me of a time when I used to meditate: being present and being aware of everything. There are so many things racing through our minds simultaneously at any given moment. Unless I am truly present – that means not allowing myself to get distracted – I’m unable to neither focus, nor truly understand what the situation calls for. I recently took up this pursuit again to deal with stress, but to allow myself to really be in the moment and give the necessary attention to everything I needed to do. So far, so good. I will be kind. I admit that my temper has a tendency to fall prey to teenage misdemeanors and I will react with occasional outbursts. This can crossover to my work. But I have to be relentless in nurturing an environment that allows everyone to thrive for the sake the company. …it’s the difference between starting out every day with a sizeable lead over everyone else, and starting out jockeying for position with everyone else… Every massively successful person I know is an early riser. Biochemically your brain does not fire as well late at night (that’s a fact). As I write this, I realize it’s 12:05 AM. Yes, I’m still awake. My mind is churning with a deluge of ideas and things to do this day. But this I know: tomorrow … er in 6 hours (sorry Ryan) I will awake with a view that this day will be better than the last. The post The Startup Journey: My Lessons appeared first on SteamFeed. If you just started a business, you should be aware of the advantages of the Digital Age. There are limitless opportunities, tools, apps and services that you can use to make significant progress and attract more customers. Business models are being revolutionized with the application of apps and tools that help them grow faster and more effectively. In the continuation, you will find the best tools that will help you get through just about any challenging phase on your way to success. The success of your business is founded upon testing. Optimizely is a priceless tool that enables online business owners to test and compare web pages and get insight into important data about the visits and clicks you get, as well as the number of conversions within a given period of time. You can easily integrate Optimizely with Google Analytics or other similar programs. If you have ever been to a workshop focused on business startups, then you must be aware of the importance of content marketing. The online content related to your business can make or break its success. If you cannot write successful content, then you can hire writers and editors at custom writing service NinjaEssays.com. This website offers custom-tailored writing assistance that will make your business more attractive for your target audience. There are plenty of reasons why you should focus on building an email marketing list. With the help of MailChimp – all-inclusive email marketing platform, you will be able to start sending better emails and manage multiple lists. The other key features of this platform include: mobile-friendly opt-in forms, revenue reporting, social integration, autoresponders, and list segmentation. This is an incredibly useful set of programs that enable cloud-based storage for easy access. With the help of Google Apps for Work, you will get an opportunity to create shared calendars, professional email, video meetings, and much more. The automatic syncing feature provides you with freedom to work from anywhere. The enhanced security and control features of the apps will help you control and safely manage the company’s devices and data. The easiest way to explain the key aspects of your business is by making a captivating presentation that conveys its essence. Although the tool is very easy to use, it still results with a sophisticated, complex 3D story that includes plans, concepts, sketches and other content. You can use Prezi offline or in the cloud, and you can also download it as a mobile app for your iOS device. Since you just started the business, saving money is an important part of your plan. Instead of paying an actual accountant to take care of the finances, you can easily keep track of the expenses and revenues with the help of Xero. You can work together with other users and manage your finances through teamwork, get mobile access at any time, calculate the payroll and pay staff through the effective features of this software. You still don’t have a detailed business plan? Then it’s about time to create it. Although it seems like a challenging task, writing a business plan can be made easy if you use the right tool. Enloop enables its users to write customized business plans, prove their ideas and forecast the success of their startups through efficient automated software. You can also use this tool for industry comparison and scoring, as well as for automated projections. The success of every business startup is dependent upon following up with leads. Highrise is a simple and effective tool that gives you insight into the interests of your customers and enables you to track contacts, notes and tasks in one place. This tool enables you to keep track of all conversations and categorize each contact in the appropriate group. Besides being a great place for promoting your business materials and exposing your brand to a relevant target group, SlideShare is also a great source of inspiration. You can find useful information on how to market your new business and manage it effectively. SlideShare can be used for locating and sharing content in different formats, such as PDF files, videos, webinars, slides and more. Business meetings are already an important part of your life, so you need to find a way to make them more effective. GoToMeeting allows you to organize and attend an unlimited number of online meetings for up to 3, 25 or 100 attendees, depending on the plan you choose. This is one of the most efficient video conferencing tools currently available online. Time to make your startup more successful! Use the right tools! Having the right ideas is only part of the journey. When you find your business goals, the matter of implementing them into practice will complicate your life in ways you never thought possible. With the help of the right tools and commitment to succeed, every obstacle you face can be surpassed. Robert is a professional content writer from NYC. The post 10 Bestest Tools To Run A Successful Startup appeared first on SteamFeed. Estimated Costs for Starting a New Business!!! Here’s some information about starting Businesses! Of course, there is no easy answer. It depends. While the average cost for starting a business is $30,000, some businesses may require more money or less. Your startup costs will depend on many factors, including the type of business you want to start, whether you plan to work from your home or rent office space, etc. Your startup costs will also depend on how much you can feasibly handle on your own. But one thing is for sure — a common mistake many entrepreneurs make is underestimating how much it costs to start a business and keep it going. Insufficient capital is one of the major reasons for small business failure. So it’s important to nail down that figure so you can start out strong. The difference between expenses and assets. How your wants and needs factor into the equation. How to realistically calculate your startup costs. According to the Small Business Administration, you should first categorize your startup costs in terms of expenses and assets. What’s the difference between the two? Startup expenses can include legal expenses, permits, paying someone to design your logo or website, initial advertising costs, and office supplies. 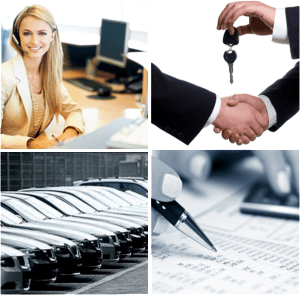 You may also have assets that you purchase for your new business. These tangible items include inventory, equipment, tools, or a company vehicle, plus some cash until the customers start rolling in. You also need to factor in the business costs that will recur on a regular basis: rent and utilities, payroll expenses, business insurance, ongoing advertising and marketing costs, and more inventory. Are they wants or needs? Once you figure out the possible expenses and assets and assign ballpark figures (be realistic!) , organize them in terms of wants and needs. You will need to purchase some items right away for your business. Other items may be nice to have eventually. For example, can you get by without a dedicated office space for your startup? You can save money on rent and office furniture by working right at the kitchen table. Or you may envision a shiny new truck with your business logo on the side. But for the time being, you might have to hang onto your respectable-looking old truck. After you define your wants and needs, it’s time to get serious and crunch the actual numbers. Using a tool like the Wall Street Journal’s Startup Calculator can give you a ballpark idea of how much you need to start a business. Once you add up your startup expenses, assets, and recurring costs, be prepared for that sobering moment when you see your estimated startup cost in black and white. But armed with this information, you will know how much to scrape together before you officially launch your business. Once you start spending, keep track of where your money is going. Learn the basics of accounting so that you can track your expenses — and eventually your income — on your own. It’s crucial to make sure your books are in good order! But be ready for anything. With proper business planning, you can improve your chance for success. But forget about doing everything perfectly — you will make mistakes somewhere along the line. Trust me. What was the first expense for your new business? Can you think of a business item that you splurged on and then later regretted? I’ll start: in one of my startups, I purchased a brand new printing press that turned out to be a real lemon! I was much better off later on, when I found a dependable secondhand printing press at a fraction of the cost of the new one. Estimated costs for New Business Startups! If you are a New Company in Wales, Startup Business in Wales or Small Business in Wales and you are looking for some Business Advice in Wales, Startups Advice in Wales or Help for Start-ups in Wales especially help or assistance in Sales & Marketing, then you have come to the right place! MA Consultancy is a Sales & Marketing Agency & Business Consultancy based in Cardiff, South Wales run by former “National Premier Account Director” Mike Armstrong, who works with Businesses of all shapes and sizes including New Businesses in Wales and Welsh Startups. We can help you with business advice, help & assistance and start-up advice help & assistance in all areas of running a business but especially in the most important area of running a business, the sales & marketing of the business! Without a good sales & marketing plan and great cost effective & efficient sales & marketing activities, most businesses won’t make it very far! Most people starting up in business do so because they have a good business proposition and the enterprise, experience and commitment to see it through. However, they are usually not experts in the Sales & Marketing, Legal and Financial aspects of running a business and such matters often appear daunting. Fortunately you do not always need to be an expert in these fields to succeed in business but you do need to try and understand as much as possible about these aspects of running a business or you need the support of people or a team of people of trained experts to help or advise you in these areas! Get Business Cards and so much more! If you would like more information or would like to ask us startup or new business questions then please email us today on maconsultancy1@gmail.com.